Monon Behavior: Dio no xe furlan. O forse sì? Dio no xe furlan. 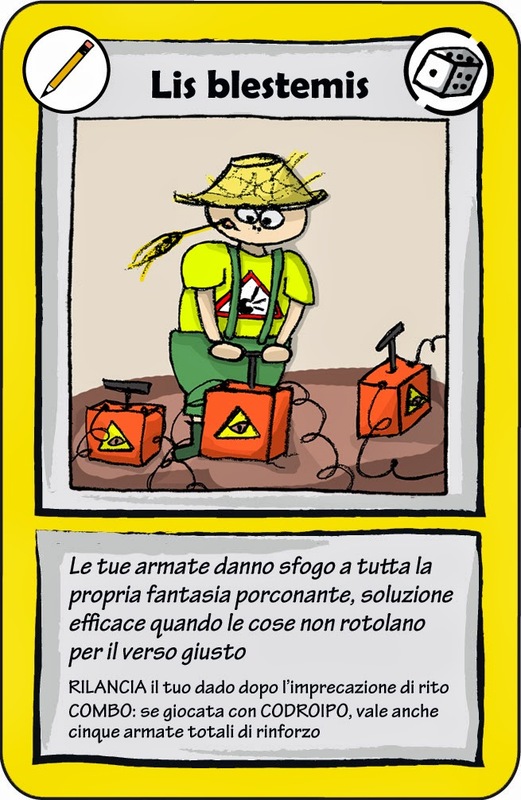 O forse sì? Per chi non avesse ancora visto questo importante studio sulla presunta furlanità di Dio, eccolo qua! Questo importante paper è un estratto del Tre volte Monon Behavior, di cui trovate il bellissimo ebook a questo link. Triestins and furlans have a very similar proverb, that affirms that if God doesn't pay today, he will pay tomorrow. However, in the furlan version God is lanfur, while in the triestin version God is not lanfur. We analyzed all the possible evidences to establish definitely the furlanity or not of God to solve this ancestral regional diatribe. In the solit region in which we conduct a great part of our studies, there are the solit two populations that cannot see each other: triestins and furlans (Guf, 2009a). One of the most ancient conflicts between the two cities is a sort of religion war, also called “the original longhi” or “the genesis of all the pupoli”: the great dispute to estabilish if God is lanfur or not. Furlans have a very wise proverb, “Ancje Dio al è furlan; sa nol pae vuei, al pae doman”, that affirms that God is lanfur. But triestins have a very similar proverb, “Dio no xe furlan, e se no paga ogi paga doman”, that affirms that God is not lanfur. The only thing in which triestins and furlans are d'accord is that God will pay today or tomorrow, so they can make puffs without problems, because God will pay for them -this is an istrianism also known as “Holy lassing”, an ethereal form of lassing (Manna, 2009)-. Some academic scassamarones say that this interpretation of the second part of the proverbs is incorrect and heretic, but the fact that God will pay all the puffs is confirmed by an important verse of a popular triestin song: “Pei debiti no i ne impicca, la forca no i ne dà, mandeghe la lista al diavolo che lui li pagherà. E zento, dozento, trezento e anche più, se non li paga el diavolo li pagherà Gesu.” As you can easily imagine, the devil always performs an indianing (Manna, 2009) and goes away without pagar, so God has always to pagar all the puffs. Tornanding to our central problem, the unsurmountable “original longhi” is also well represented in the regional iconography, in fact it is symbolized by the tractin in the name of the region “Friuli – Venezia Giulia”. To solve the “original longhi” some burocrats have recently eliminated the tractin, but the dispute is still effervescent. In this study we will try to give the final solution to this ancestral dilemm. 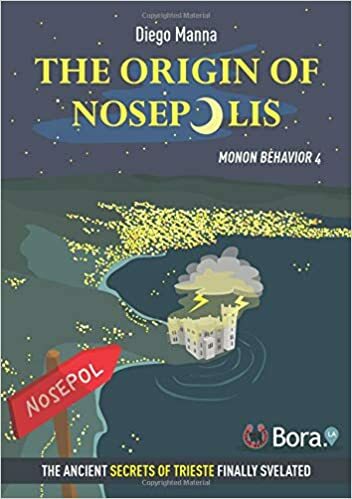 To establish if God is lanfur or not, we planned to use the Bobici Furlan Test (BFT) elaborated by the Monon Behavior Research Department in substitution of the old Sgonico Furlan Test (SFT). These tests consist in writing “bobici” (or “Sgonico”) in a piece of paper and giving it to the person that you have to test. If this person is a lanfur, he will read “bòbici” and “Sgònico”. In parallel, we planned to test also the triestinity of God using the Volentieri Triestin Test (VTT), because the TLT, the Triestin Legera Test, is no more internationally recognized (Patoco, 1954). Unfortunately, we were not able to find God in any place where we searched for him (bar, pub, osmeezes, barcola), and finally we got lost in an autogrill like Max Pezzali (883). Then, some philosophers told us that we must make a long queue to meet God, because he's very incasinated and they are asking him a momentin by a long time (Ligabue, 1995). Furthermore, a very cataclismatic armageddonic philosopher told us adiritur that God is dead (Guccini, 1965). So, we based our research only on the data available in literature, using the first person monade reading in cesso sentaded sampling method. We found evidences for both the hypothesis that we will elencate here de seguit. God is often described as a trinity. The “furlan” drink is made by wine, campari and water of selz. In the ancient enologic symbolism of the German bevandelic priests, this could represent the alcoholic personification of the trinity. One of the greatest miracle performed by Jesus was to transform the water in wine. This is absolutely the favorite dream of every furlan. During the celebrations, Christ's blood is represented by the wine. All the real furlans have wine in their blood. Three days after his death, Jesus resurrected. Furlans have a very important natural zone near Codroipo, the reesorgeeves. Maybe God learned how to resurrect while playing in the reesorgeeves in his youth. However, some malicious researchers say that the name “Codroipo” is the greatest proof that God cannot be furlan (BigFlies, 1993). Fig. Frico. FRICO game card Lis Blestemis. The lanfurs evoke God many time each day and have an important language endemism, the fantasy porconing (Friko, 2008). The fact that God has not yet incinerated them is indicated by some persons as a proof of his furlanity (Fig. frico). In an apocrif Genesis we found the furlan version of the history of the Babele tower. The real tower was the Mortegliano's campanil, the tallest in Italy, third in Europe. When it was built, furlans spoke a unique language, the marilenghe. 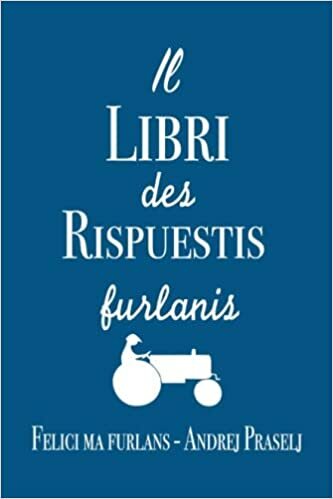 When God saw the sboronery of the people, he disperded them in Furlany and confonded their languages, so that furlans from Carnia could not understand anymore furlans from the bassa (Onorio, -23). Now they are trying again to speak a unique language and to take public money for it, but some theologists are sure that God will punish them again for this. In an apocrif Exodus we found a more credible version of the escape of Moses from Egyptians in the Red Sea. In this version the author speaks about another sea, the Black Sea, that, to make Moses pass safely, tagliated itself in two. From that time furlans always ask for a “taj di neri” (Onorio, -10). We found proof that in heaven there is a saint who has the important responsibility to take 15 deca of crud parsut to God every day, and his name is San Daniele, like the furlanutis town. Furlans' official salut is “mandi”, that for some etymologist derives from “nelle mani di Dio” (Friko, 2008). So, it seems that in antiquity all the Friul was in God's hand. During the genesis, God worked for 6 days and rested the last day of the week. If God was lanfur, he would have worked for 7 days. (And, if God was triestin, he would have worked for 1 day and rested for 6). One of the miracles of Jesus was the multiplication of bread and fishes. A real lanfur would have multiplicated panocees and frico, not bread or fishes. Maybe a triestin God would have multiplicated sardonees to launch them to mulettes. Jesus was born between the asinel and the cow. All the real furlans have the purcit, not the asinel or the cow. The holy book is called Bibbia. Bibione is in Veneto, not in Furlany. Lignano is in Furlany. If God was lanfur, the holy book would have been called Ligna (and would have been written in marilenghe). God commanded to Noah to put a couple of every animal species in the Noah's Ark. A real lanfur would have excluded the fastidious tiger-mussato that sponzees from the list. And also the talps that make casin in the ort. And also the cagoies that eat all the vegetables of the ort. And that mone of merls that eat all the semenzes of the ort. But above all, he would have included more purcit in staiare (Andrea, 1135). In the figliol prodigo parable, the father forgives the son and makes a big party in his honor. In the hypothetic furlan version of the figliol prodigo parable, the son goes to Triest to study at the university and, day after day, is corrupted by the spritzetts, the osmeezees, the evil jota and the mulettes at Barcola and doesn't want to work anymore (Guf, 2009b). At the end of the parable, the furlan father gives a great kick on the popocee of the son, who finally affogates in the sea while trying a clanfa. If God was lanfur he surely would not have destroyed Sodoma and Gomorra, but Tergeste and the furlan traditors of Pordenon. During the 40 days of temptations in the desert, a lanfur Jesus would have surely teerated a papin to the devil and told him: “Alore, vonde diaul cun chistis monadis e judimi a lavorà!”. So, they would have built an aqueduct from the Tagliamento and zappated and piantated panocees in all the desert. At the end, Jesus would have offered a sgnape to the devil for his help in the work. In a furlan garden of Eden, honey, the holy tree would not have been an apple, but surely a vite. The second comandament seems to be in clear contrast with the lanfur culture. 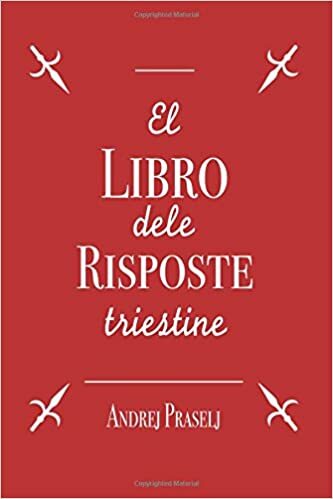 A famous local researcher found a important proof that indicates that God may be triestin: the fact that the ten comandaments could have not been written on the Moses' (or Mosè's) tables but on the Masè's tables, as witnessed also by the local proverb “Ma xe Masè” (Susta, personal communication). As a secondary result we found that God has surely a good sense of humor, as witnessed by fig. Adam. Fig. Adam. One of the favorite God's jokes. Pupol by Federico Manna. We found a lot of evidences that sustain both the hypothesis, so it is very difficult to affirm with certezz if God is lanfur or not. Also, there are proofs that are in evident contrast each other, like for example the case of the second comandament. If God was lanfur, this comandament surely would have not been written. So it seems that God is not lanfur. But, the non lanfur God would have surely punished furlans for their fantasy porconing, but instead furlans have not yet been incenerited. Also, Udinese is still in Serie A. So, God seems to be lanfur. But a lanfur God would not have written the second comandament...and so on. This is a never-ending loop way of thinking (Wolf, 2009). So, the only way to establish if God is lanfur or not is the Bobici Furlan Test. To resolve the original longhi and decide without doubts if God is lanfur or not, it is necessary to use with him the Bobici Furlan Test. However, after compiling all the terrible bureaucratic cavillitic smarronanting modules to prenotate a meeting with God (we put the x on the spritz-time option), we are in queue just after Ligabue, that is waiting by a very long long time just to fregar to God only a momentin. To complete our study, we think that we need a lot of finanziaments in order to onzer San Piero that will show us a secret secondary entrance to meet God. We are also trying to invite God in osmeeza. In that case, we will not need any finanziament because we are sure that God, lanfur or not lanfur, will pay (today or tomorrow). If the final result will be that God is lanfur, the furlans will give also to him, with great celebrations, the label of “Tipicamente Friulano”. The correct italian translation of the furlan and triestin version of the proverb is “Chi la fa l'aspetti”. An unique translation without any accenn to God, to accontent both populations. We thanks Lorena Cosatto for her important furlan lazzaronic diabolic translations and Susta for her important mystic researches. Andrea S. 1135. La favola del re purcit. Sant'Andrea il re Purcit sulla brea. Ed. Purcitar. BigFlies G. 1993. 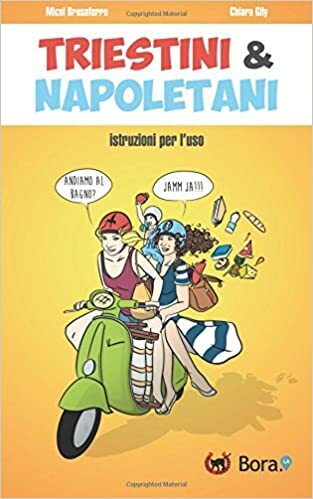 Codroipo e i suoi perfidi anagrammi. Humor Touring Club 23: 12-13. Friko V.E. 2008. Furlan language endemism: una marea de porconi. Furlan Behavior 2: 2-4. Attached a list complete of porcons: 5-230. Guccini F. 1965. Dio è morto. In: Nomadi. 1967. 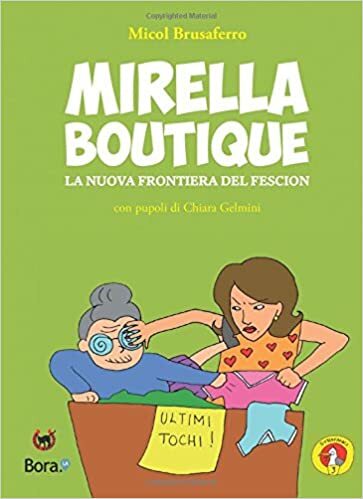 Per quando noi non ci saremo. Guf E. 2009a. Con la kriptonite te mazi superman, ma el kren xe velenoso per un mulo furlan. Ga copà un furlan in bagno. Spritz records. Guf E. 2009b. Al bivio col spruzin. Spritz Records. Ligabue L. 1995. Hai un momento Dio? Buon compleanno Elvis. Manna D. 2009. Spinazing, the triestin answer to the crisis. 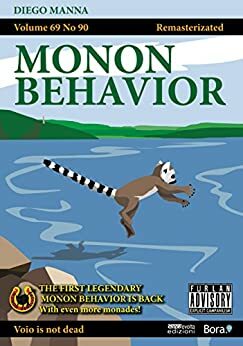 Monon behavior Ciu: 8-12. Onorio F. -23. Phil Collins and the Genesis. Nirvana Publishing. Onorio F. -10. Bob Marley and the Exodus. Nirvana Publishing. Onorio F. 5. Vangelis lanfur second Onorio. Nirvana Publishing. Patoco T. 1954. Mi e ti nel TLT, dal Molo Audace a far pipì. Raccolta di poesie indipendentiste. King Mengo edizioni. Pezzali M. 883. Rotta per casa di Dio. Nord sud ovest est. Wolf Z.B. 2009. The loop of Basoviza. In: Patock Red Capucet. Pierino e il lupo Ed. Tratto da Tre volte Monon Behavior. 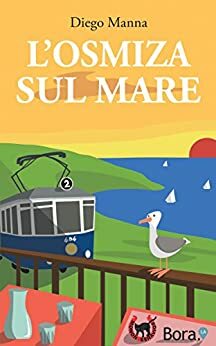 Per altri studi e monade divertenti puoi scaricare i nostri ebook. Così sosterrai l'importantissima ricerca scientifica del nostro centro d'eccellenza ciò. Eccellente Smiters! Domenica 26 aprile, dalle 16.00, all' OSMIZADA 2015 a Borgo Grotta. Venerdì 1 maggio, dalle 9.00 alle 19.00, a Cividale, per la fiera Magia Delle Mani. Sabato 2 e domenica 3 maggio, dalle 9.30 alle 19.30, a Palmanova, per la prima edizione del Festival NovaLudica - Associazione Ludico Culturale. Domenica 17 maggio, dalle 9.00 alle 20.00, alla Fiera di Pordenone, per Naoniscon - Games & Comics. FRICO, ecco la terza edizione!